Women are notorious for liking “bad boy” types and often times, snubbing the good guy. 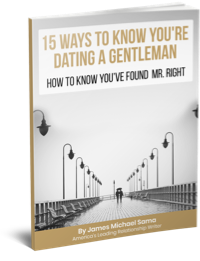 While the difference between a good guy, and one who is so nice he could be considered a doormat, is an important one to define – the man who prides himself on his character and integrity should be acknowledged as a viable option as a romantic partner. He will always support you. A man who is truly a gentleman will always stand behind you, support you, and encourage you. Sure, there are some “bad boys” who will provide you with the same support, but by nature a gentleman will be more likely to express and relate to emotions. This quality will allow him to be more empathetic than his counterparts and have a higher comfort level when discussions complex issues. He will make you feel loved and respected. Bad boys are notorious for being exciting because they’re dangerous. But being bad isn’t the only way to be exciting. A gentleman who truly cares about you will always be willing to show his love to you by keeping things interesting. Furthermore, he will have no intention of going out to find other women because he’ll be too busy finding new ways to love the one he already has. Bad boys can come across as less affectionate and loving. In the long term, lacking these qualities can add tension and confusion to a relationship because you won’t know where he really stands and may have difficulty getting him to open up and talk about it. Some days, you just want to come home and fall comfortably into loving arms. He will make you feel secure. A gentleman who wants the best for himself and for those in his life will be driven and ambitious. He will have goals and be willing to pursue them. This goes hand in hand with point #1, where he willingly supports you on your journey to your goals as well. Whether or not he is…or even wants to be, financially successful, is not what security is about. It’s about stability and maturity – two things that sometimes lack in the “bad boy.” A man who is on a path in life and wants you to be his teammate will eliminate concern or worry about what the next day might bring. You’ll know what you’re getting. At times, the ‘bad boy’ can be volatile or unpredictable. While this is what makes him exciting in the short term, if you are the type of woman who is looking for a long term commitment, or even to build a family, this can make the road a little more bumpy along the way. A gentleman who holds himself to a standard of conduct will take pride in being up front and honest with you. When you have a man like this in your life, you will be confident in who you are with and what path you can take together. You will have real passion. Lust is possible with any couple who has an intense physical attraction to each other. This often is prevalent with the bad boy type. He is probably attractive, exhilarating, and unpredictable – but does he have depth? Real, long lasting passion only comes when two people connect on a deeper emotional level and build a strong relationship with each other. No matter how strong your physical attraction is, a healthy relationship requires compatibility in many other areas of life. A gentleman will have the depth and character to bring this to the table. You will have deeper trust. Many times the bad boy has been burned. He may be jaded or have had negative relationships along his journey, which likely have shifted his outlook on life. He may not be as open or expressive with you, which over time may make you question his honesty with you or what he may not be telling you. A gentleman will always be honest and up front, while still being sensitive to your feelings and how he expresses himself. These qualities, especially in the earlier stages of a relationship, help to build a stronger bond of trust between you. A gentleman…a true gentleman, will not be the stereotypical “nice guy” who women cannot take seriously. He will possess strength, but with just the right amount of softness. He will be exciting and spontaneous, but he will always keep you safe. He will be driven to create his own success, but aware enough to also support yours. He will be your rock, but empathetic enough to show you he cares and does his best to understand. The old adage “nice guys finish last” just depends on how far down the timeline you go. In the long run, often times the good guy comes out on top. His character and integrity stop being taken for granted and begin to be sought after. He becomes a commodity rather than a distraction, and the bad boy gets grown out of. 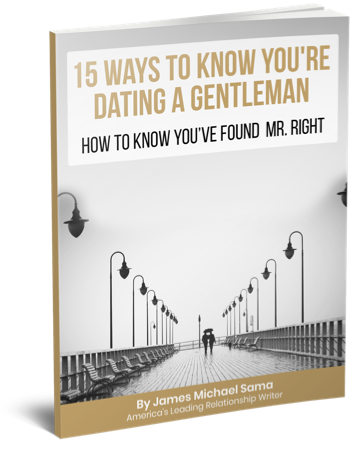 The gentleman may not get “all the girls,” but he will get the one who truly appreciates him and makes him happy. I agree. However, most gentlemen I have met are a tad overbearing and over the top for me. I don’t know if that’s good wording.. maybe the description of “too comforting/sweet” but I think a lot of that just comes down to the fact that I haven’t felt the correct chemistry with a gentleman yet. Or am not ready. Whichever. Nice post, as usual. I can think of 1,000 reasons to date a gentleman. The only problem is, they’re never interested in me, meanwhile I get guys coming up to me saying “You’re not as hot as a model/actress, but you’re still pretty hot. Yay me? Totally agree. 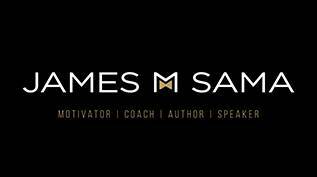 I think it’s easy for women to fall into the trap of the “bad boy.” We have to be wise enough to consciously decide on the gentlemen type because that relationship will ultimately be more rewarding. Not all ladies may get to that point but I think a lot of us have figured this out! Gentlemen buy the drinks, bad boys take her home. No matter what females will always choose the bad boy over the gentlemen. That is until she is no longer young and has to take what she can get. True story.